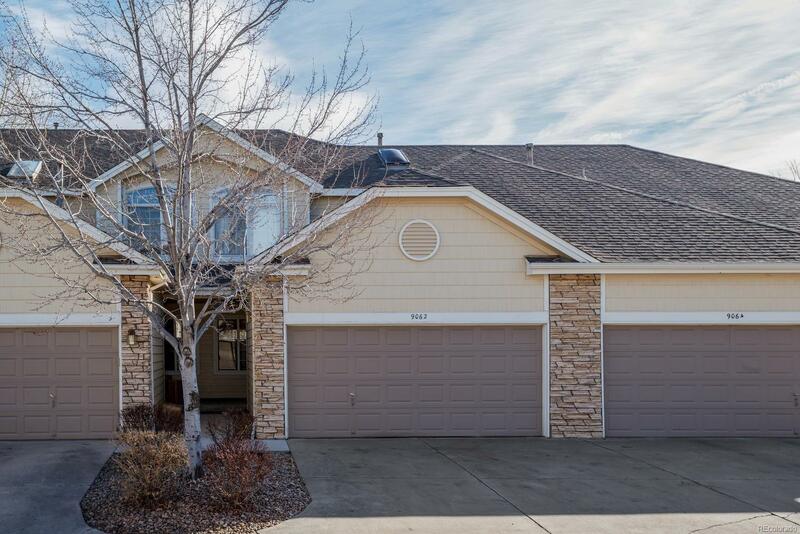 MLS#: 9750200 - Courtesy of Re/Max 100 Inc.
Beautiful & bright unit in Littleton! Abundance of natural light, the foyer opens to the kitchen, eating area, and living room. On the main level you'll also find a powder bathroom and a laundry room that leads straight to your attached two car garage! On the second floor you'll find a spacious master suite bedroom with walk in closet, and another en suite bedroom both with vaulted ceilings and ceiling fans. There is also a very convenient storage room on the 2nd level! Enjoy the low maintenance, fenced in patio year round! There is a great outdoor space and a fantastic community pool to round out a truly one of a kind listing just minutes from shopping and fantastic Littleton schools.